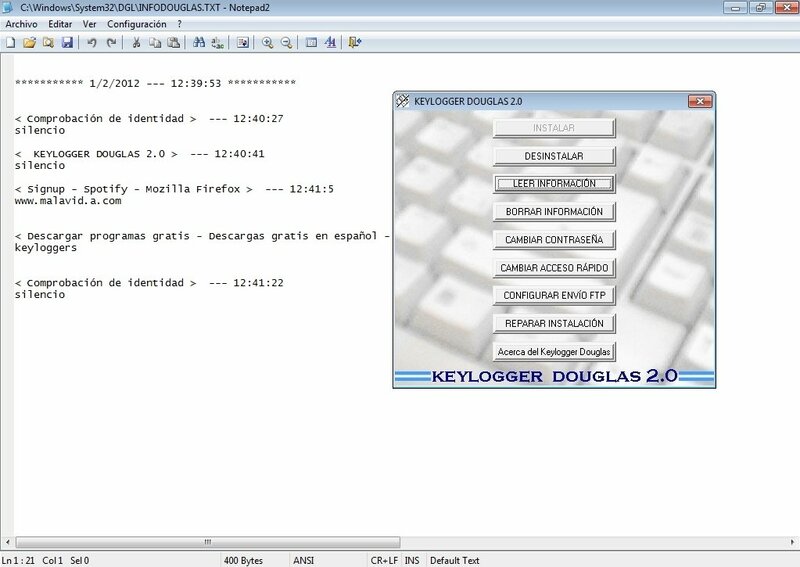 Keylogger Douglas is a simple tool that keeps track of all the keystrokes that take place on a computer, and it records them on a document. Thus, you'll be able to know everything that has been written with your keyboard while you weren't present. 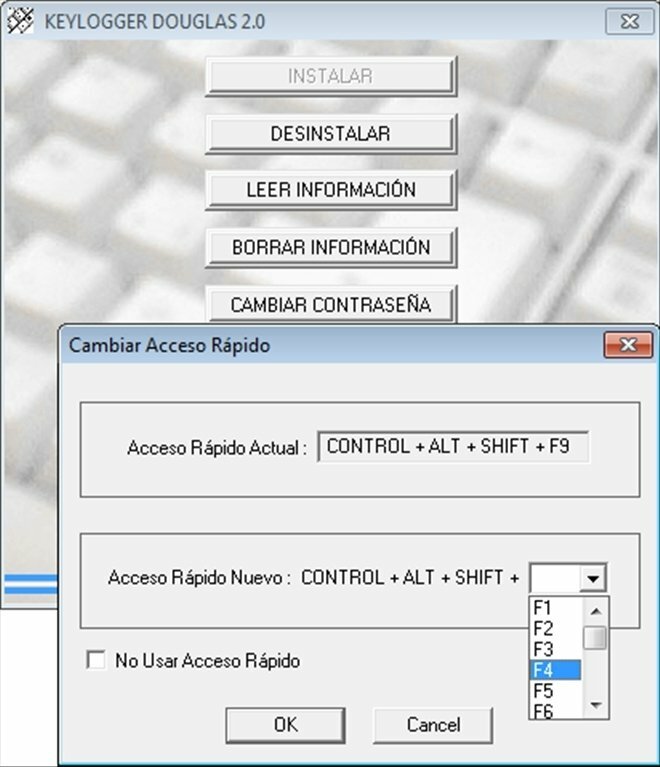 If you want to control what happens on PC when you aren't there, download this keylogger. 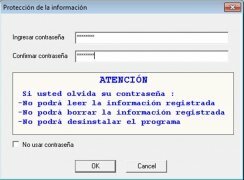 As some programs of this type, Keylogger Douglas may be detected by some antiviruses as a threat, but this is actually a false alarm. What's more, Keylogger Douglas can be used by some hackers to steal the passwords used by users, thus it's important to know who uses your computer and what for. Once you have downloaded this keylogger, you'll have to extract the folder and launch the installation file. Keylogger Douglas works in the background so as to avoid anyone from finding out that you are tracking the computer. First of all you'll have to configure a password that will be necessary to carry out any action with Keylogger Douglas. Read the information that has been stored. 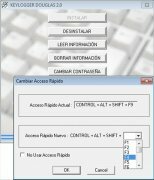 Configure the data sent by FTP. 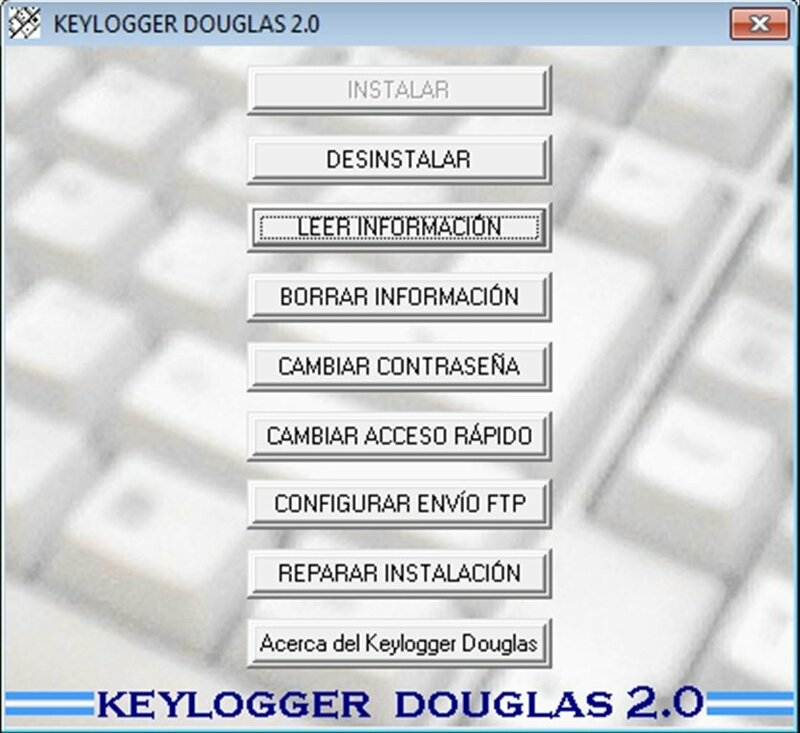 Don't leave your computer unwatches, download Keylogger Douglas free of viruses. 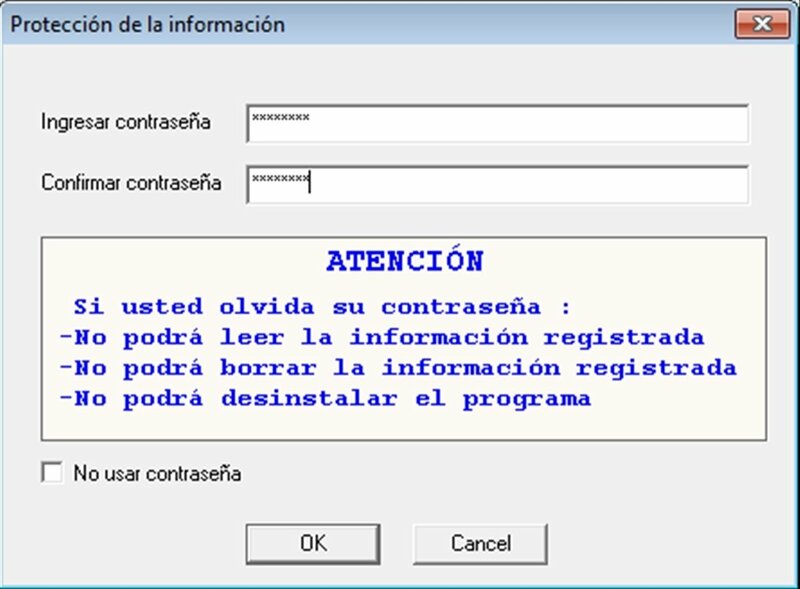 Some antivirus applications will detect this software as malware and may even prevent the download because it is a keylogger.